I want to introduce to you 5 new enhancements to SellerVantage. Bar Codes, Cycle Counts, Missing Item Handling, Adjustment Reports and Holiday Returns. For years, as a web-based software it’s been difficult adding in a scalable bar coding process but now it’s possible to use Chrome and FireFox while using this. Our support section can show you how to setup FireFox. While taking items in, you may be used to clunky packing slips that waste paper. Now, if you’re using a Zebra Printer or any kind of label printer, you can choose to print bar code labels instead. 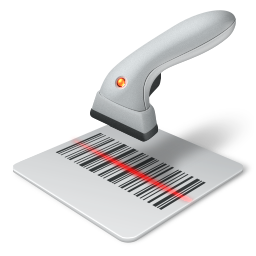 Select the printer and the bar code will scale accordingly while printing the Item ID, Item ID as a bar code, Title, Location and Location as a bar code. You can also post the Locations as bar codes on your shelves so you can easily scan items while relocating or cycle counting. If you work with Multiple Variation Listings, now each variation is “item ID - variation” such as 12345-blue. This way you can have separate labels for each item. When taking in items or adjusting items, you can print off as many items as you have quantity to match. We’ve introduced the Blind Cycle Count process within SellerVantage. Accessible for Employees and Managers, this allows for scanning (or typing) the location and then scanning each item on the location prior to displaying what needs to be on the shelf. This way you have an accurate report of the items located on each shelf. If everything scanned is correct, you can quickly move on to the next shelf. The error messages you will find are: item is missing from the shelf, different location in SellerVantage, different quantity in SellerVantage and Item ID not recognized. You will be able to adjust to the correct quantity or adjust items that were on different shelves to the current shelf. Adjusted items will prompt new bar codes to be printed. If the item is missing, it will go to a different page that a Manager will be able to manage. From the Reports tab, Managers will be able to select Missing Items. This is where they can physically search for the item and if they deem it as a Lost item, they select Lost Item. If this is a consignment item, you then have the option to enter a price it could have sold at and send it to be paid out to the consignor deducting the store commission and any associated fees. This is a page seen only by Managers that can be filtered chronologically by dates and it displays any adjustment that needed to be made to an item and the employee who performed the Cycle Count. This can be downloaded as a CSV. If you’ve noticed our blog posts, we’ve been covering Holiday Returns quite a bit. eBay is launching the ability to extend the return policy on items sold between November 1st and December 31st to be able to be returned by January 31st. In SellerVantage, you’ll be able to default the Holiday Returns on all of your listings and still select certain items you don’t want participating in the Holiday Returns. You can activate this setting now so if you have any GTC listings or multiple-relisted items still lingering around during that period, it will have already been activated. For deeper information on each of these updates, please see the support section with tutorial videos included.